Nature Clock Scroll Saw Pattern. 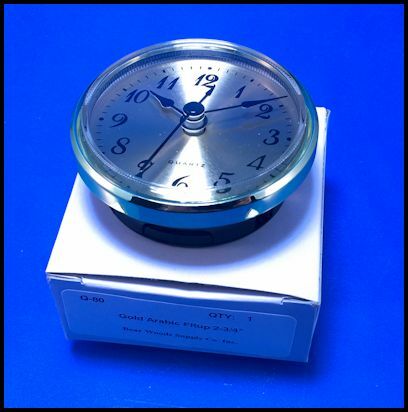 This desk clock requires a 2 3/4" Clock insert with a 2 3/8" diameter mounting hole. I must be ready for spring. I have used this leaf in that last two patterns. Spring officially starts Monday. Yep I'm ready. 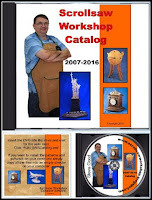 I received several emails today about the coin cutting jig I showed in the last post. Several of them were reminding me that defacing US money is illegal. I get these emails every time I talk about this subject. Here are the facts. It is not illegal to make jewelry from coins. It is not illegal to alter money unless it is done to defraud. If I were to alter a $1 bill and make it look like a $100 bill and tried to pass it as such that would obviously be illegal. The key is "fraudulently". Here is how the statute is written. I know this goes against what many people have been led to believe but people have been making jewelry from coins longer than any of us have been alive. It is perfectly legal. You can cut a quarter and sell it for $10 as long as there is no intent to defraud the person you sold it to. 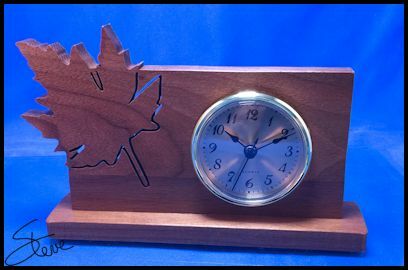 I purchased my clock insert for this project from Bear Woods. 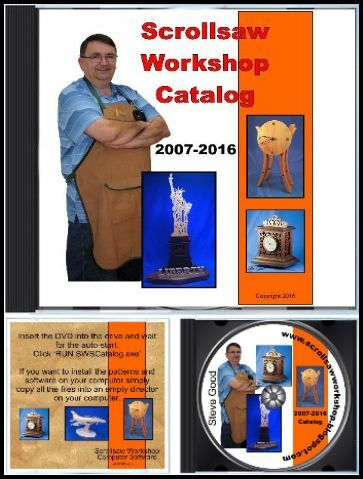 Your source for Scroll Saw Ready Boards. Heritage Wood Specialties. Professional Self Healing Cutting Mat 18x24 Inch. 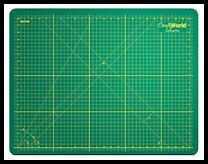 I had a reader ask about the cutting mat he saw in one of my videos. I keep an 18" X 24" mat on my bench all the time. I use the self healing mat and an Exacto knife with ruler to cut up my patterns. It's often important to get straight lines before you apply the pattern to the wood. The mat makes that a lot easier. THE IDEAL MAT for CRAFTERS and HOBBYISTS Alike. It’s VERSATILE and FLEXIBLE. You can use it for arts & crafts projects such as SEWING, QUILTING, glass cutting, leather cutting, model kit building + ENDLESS OTHER USES. LASTS 10 TIMES AS LONG compared to ORDINARY MATS. The ONLY Self Healing Cutting Mat you’ll need for a VERY LONG TIME. Built to be STRONG and DURABLE. 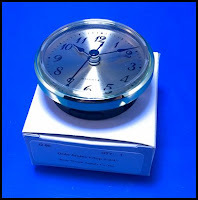 It is THICK and DOUBLE SIDED to protect your tables or work areas. EASY and ACCURATE CUTTING. The self healing mat contains different sets of CLEAR grid lines, ⅛ measurements, and angles that will GREATLY help the cutting process. DESIGNED TO EXCEED YOUR EXPECTATIONS: Proven and Trusted. HIGHLY RECOMMENDED by crafters, quilters, and hobbyists. It comes with a 10 YEAR FULL MONEY BACK MANUFACTURER'S GUARANTEE.